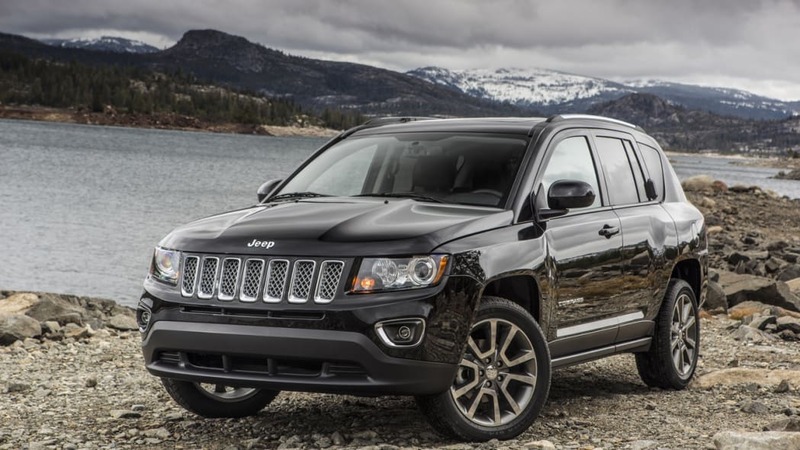 The 2014 Jeep Compass and Patriot are here, and as expected, the big news is the availability of a six-speed automatic transmission on certain models. The transmission, sourced from PowerTech (a subsidiary of Hyundai) will attempt to address the noise, vibration and harshness issues suffered by older CVT-equipped models by using noise-resistant gears. 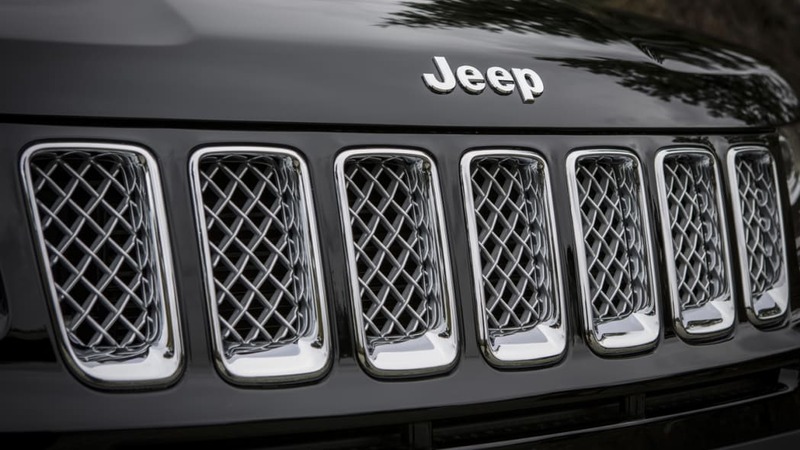 It has a long sixth gear to improve fuel economy, but Jeep hasn't revealed the mileage numbers for the auto-equipped models yet. The new automatic will be available as an option on the Sport trim of both spec, and as standard on Latitude and Limited models. It can be had in front-wheel-drive versions or those equipped with the optional Freedom Drive I. It can't be specified with the Freedom Drive II, however, the full-time four-wheel-drive package with a low-range gear sticks with the unloved CVT2L Continuously Variable Transmission. With their expected demises perhaps a year away, not much has changed otherwise. Engines are either the 2.0-liter four-cylinder with 158 horsepower and 141 pound-feet of torque or the 2.4-liter four-cylinder with 172 hp and 165 lb-ft, and the five-speed manual transaxle is still in the mix. The Compass gets a catalog's worth of shiny trim pieces to mark its last year, including plated upper grille trim with a "mold-in-color Billet Silver grille texture," new headlight, fog light and taillight inner bezel treatments for the various trims, painted mirror caps, optional new 18-inch wheels for the Limited and an available backup camera. Inside are new trim options on the Latitude like a sport mesh and vinyl seat, and on the Limited, trims like Saddle Brown perforated leather seating. The Patriot gets no changes other than the addition of front seat-mounted airbags. The price of the Patriot hasn't changed, sticking with an MSRP of $15,995 (plus $995 destination). The press release below doesn't mention the price of the Compass, so don't be shocked if it gets goosed a bit from the $19,495 MSRP of the 2013 model. Stay tuned for live shots from the floor of the Detroit Auto Show later today. The two updated baby Jeeps will be in showrooms the second quarter of this year, and there's plenty of reading to be done in the official announcement below. 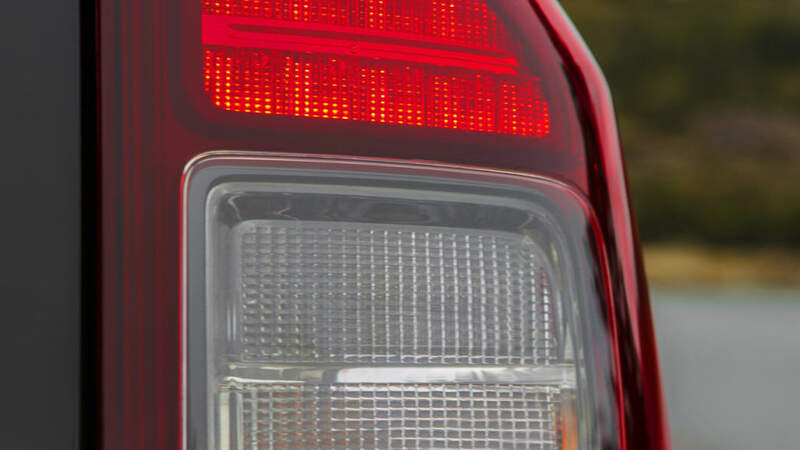 For 2014 the Jeep® Patriot boasts improved on-road performance, compliments of a new six-speed automatic transmission. With unmatched Jeep capability in all weather conditions, fuel economy up to 30 miles per gallon (mpg), more than 30 safety and security features and a starting U.S. Manufacturers Suggested Retail Price (MSRP) of $15,995, the 2014 Jeep Patriot is the best priced SUV in America. The 2014 Patriot is unmistakably a Jeep, designed to appeal to compact-SUV buyers who want traditional Jeep styling with best-in-class off-road capability at an affordable price. Patriot offers consumers segment-leading 4x4 capability and excellent fuel efficiency along with rugged exterior styling and clever interior features. "Jeep Patriot delivers best-in-class 4x4 capability with an iconic Jeep design," said Mike Manley, President and CEO - Jeep Brand, Chrysler Group LLC. "With a new six-speed automatic transmission for 2014, Patriot features improved on-road driving dynamics without sacrificing any of its best-in-class off-road capability. 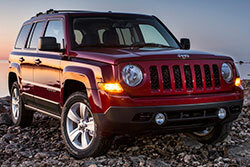 Best of all: Jeep Patriot is still the best-priced SUV in America." Packed with standard features that provide value and convenience for drivers and passengers, the 2014 Jeep Patriot standard features include: front seat-mounted side air bags, electronic stability control, electronic roll mitigation, Hill-start Assist, anti-lock brakes, illuminated cup holders, sunscreen glass, fog lamps, removable/ rechargeable flashlight, outside temperature display, rear fold-flat 60/40 folding seat, rear window defrost and wiper, tilt steering column, cruise control and sliding visors with mirror. In addition to the standard features, the 2014 Jeep Patriot offers an array of clever features consumers will appreciate whether commuting to work, exploring out-of-the-way places or driving in challenging weather conditions. A Uconnect Media Center with iPod interface, SiriusXM Radio, navigation with SiriusXM Travel Link, power sunroof, a premium audio system with nine Boston Acoustic speakers, articulating liftgate speakers, and fold-flat rear seats are some of the available features that make the 2014 Jeep Patriot the perfect compact SUV, enabling drivers and passengers to enjoy any adventure. 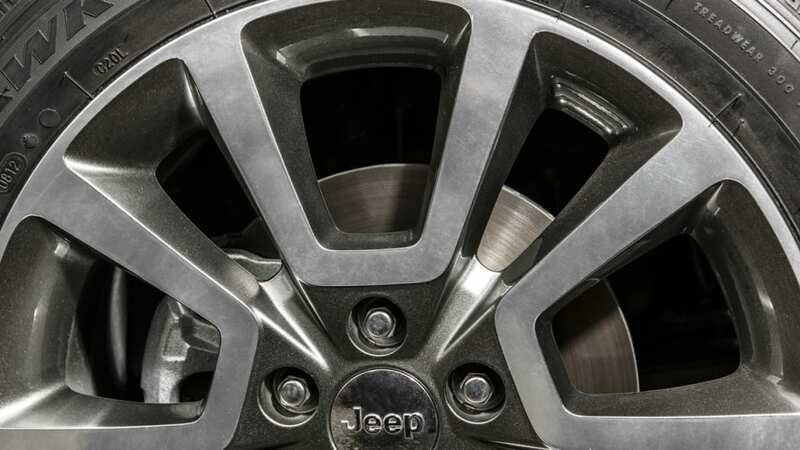 For 2014, the Jeep Patriot continues to offer an All-weather Capability Group option which includes Goodyear 17-inch all-terrain tires, all-season floor mats, daytime running headlamps, engine block heater and tow hooks, making the Patriot the most capable compact SUV off-road and in all weather conditions. Available for the first time in most 2014 Jeep Patriot models is the world-class 6F24 six-speed automatic transmission. Independently developed by PowerTech and refined for application in the 2014 Jeep Patriot, the six-speed automatic is fully electronic and designed for fuel efficiency and improved performance. Compact and lightweight, the 6F24 eliminated many potential extra engineering efforts from a packaging standpoint with the chassis layout. Overall length of the transmission is 378.5 mm. The six-speed automatic features a closely aligned 5.46 gear spread that provides nearly imperceptible shifting from launch through highway speeds. With a 4.21 first gear and standard Auto Stick for manuallike shifting, acceleration characteristics deliver fun-to-drive excitement. With a 0.77 sixth gear, engine rpm is significantly reduced at highway speeds for optimal fuel efficiency. The stepped shift schedule across all six gears is designed for optimal fuel economy in city driving as well. Customers will notice extremely quiet operation throughout the gear ranges with the use of noiseresistant gears that effectively reduce noise, vibration and harshness (NVH). The final drive ratio when mated to the 2.0-liter I-4 engine is 3.648. When mated to the 2.4-liter I-4 engine both the 4x2 and 4x4 versions will have a final drive ratio of 3.367. The new six-speed transmission also helps reduce cost of ownership and maintenance costs with its fill-for-life design. There is no transmission dipstick, and transmission filter or fluid changes are not required under normal driving conditions. Low-viscosity fluid is used to improve fuel economy by enabling quicker operating temperatures on the transmission to reduce drag on internal components. 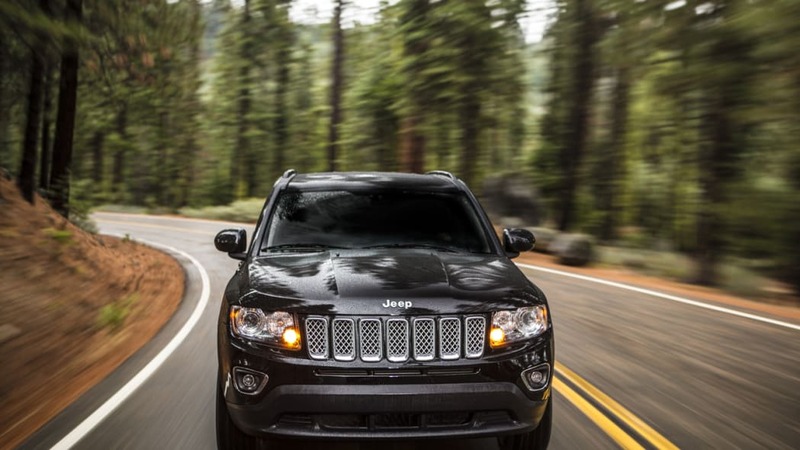 The 2014 Jeep Patriot offers customers unsurpassed 4x4 off-road capability with Jeep Freedom Drive II. Jeep Patriot is available in three drivetrain configurations. In addition to the standard front-wheel-drive system, it also is available with Freedom Drive I and Freedom Drive II. 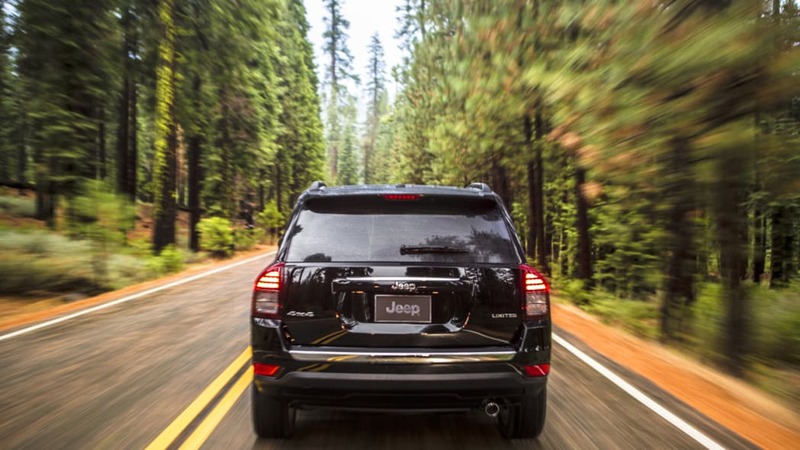 Jeep Freedom Drive I 4x4 is an available full-time, active four-wheel-drive system with lock mode designed to give drivers year-round assurance with the ability to handle rough weather and low-traction conditions. This active four-wheel-drive system is recommended for daily use, including slick conditions that come with rain and light snow. Freedom Drive I also features a lockable center coupling, giving drivers the ability to put the Jeep Patriot in four-wheel-drive lock mode to handle deep snow, sand and other low-traction surfaces. The Jeep Freedom Drive II 4x4 Off-road Package is an available four-wheel-drive system that delivers Jeep Trail Rated capability in Patriot form. The Freedom Drive II Off-road Package includes a second-generation continuously-variable transaxle with low range (CVT2L) that engages when the off-road mode is activated, 19:1 crawl ratio, 17-inch all-terrain tires and aluminum wheels, a full-size spare tire, skid plates, tow hooks, fog lamps and manual seat height adjuster. The available Freedom Drive II Offroad Package is recommended for off-road situations that include steep grades, occasional wheel lift and rock or log climbing. The 2014 Jeep Patriot's powertrain is designed to deliver world-class performance in all weather conditions, with exceptional fuel economy and refinement, all at an affordable, value-packed price. The Jeep Patriot features a standard 2.0-liter I-4 World Engine for the 2014 Patriot Sport and Latitude models that delivers 158 horsepower (117 kW) and 141 lb.-ft. (191 N•m) of torque coupled with the continuously-variable transmission II (CVT2), and delivers 30 mpg on the highway when mated to the five-speed manual transmission. The proven 2.4-liter I-4 World Engine produces 172 horsepower (129 kW) and 165 lb.-ft. (224 N•m) of torque, is available on all models and is standard on the Limited. This 2.4-liter World Engine has dual variable-valve timing (VVT) on both intake and exhaust camshafts, which helps optimize the torque curve at all speeds and produces more power, better fuel economy and smoother, quieter operation than engines without dual VVT. Dual VVT is a technology typically not available on vehicles sold in the United States in the Jeep Patriot's price class. The Patriot's 2.4-liter four-cylinder engine paired with a five-speed manual transaxle in front-wheel drive configuration delivers 23 mpg in the city, and 28 mpg on the highway. The 2014 Jeep Patriot also features a standard five-speed manual transaxle on the Patriot Sport model, a new six-speed automatic transmission that is available on the Patriot Sport model and standard on the Latitude and Limited models and the CVT2L transmission on vehicles with Freedom Drive II. The Patriot's CVT2L is a second-generation CVT that Chrysler Group engineers calibrated for a pleasing engine response and precise ratio control. The 2014 Jeep Patriot delivers up to 2,000 pounds of towing capacity. The 2014 Jeep Patriot offers three available models: Patriot Sport, Latitude and Limited. 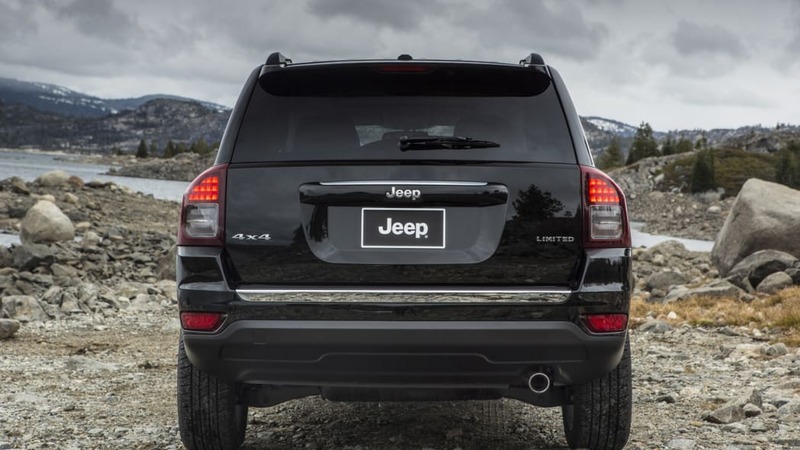 All are available with front-wheel drive, the Jeep Freedom Drive I full-time active 4x4 system or the Freedom Drive II Off-Road full-time active 4x4 system with low-range capability. The 2014 Jeep Patriot Sport model is powered by the 2.0-liter I-4 World Gas Engine (producing 158 horsepower (117 kW) and 141 lb.-ft. (191 N•m) of torque) mated to a five-speed manual transmission. Standard features include: front-seat mounted side air bags, all-row side curtain air bags, electronic stability control, electronic roll mitigation, Hill-start Assist, advanced multistage front and passenger air bags, anti-lock front disc and rear drum brakes, audio jack, fog lamps, illuminated cup holders, removable/rechargeable flashlight, floor mats, outside temperature display, fold-flat 60/40 folding rear seat, rear seat heat ducts, rear window defrost and wiper, front sliding visors with mirror, tilt steering column, cruise control, deep tint glass and roof side rails. The 2014 Jeep Patriot Latitude model offers the standard features of the Sport model, as well as the following standard features: air conditioning, power windows, power door locks, power heated exterior mirrors, illuminated keyless entry, 17-inch aluminum wheels, front heated cloth seats, rear 60/40 seat recline, driver seat height adjuster, fold-flat front passenger seat, 115-volt power inverter, body color exterior door handles and liftgate brow and leather-wrapped steering wheel with audio and speed controls. In addition to the standard features offered on the Latitude model, the 2014 Jeep Patriot Limited includes: 2.4-liter I-4 World Gas Engine producing 172 horsepower (129 kW) and 165 lb.-ft. (224 N•m) of torque mated to the new 6F24 six-speed automatic transmission, leather seats, four-wheel anti-lock disc brakes, driver's seat manual lumbar adjust, leather-wrapped parking brake handle, six-way power driver's seat, Electronic Vehicle Information Center (EVIC), AM/FM/six-disc CD/DVD/MP3/HDD radio, SiriusXM Radio, automatic temperature control, bright exhaust tip and bright accents on the front and rear fascias. 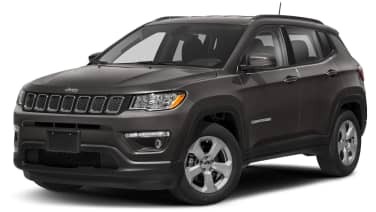 Available options include: Jeep Freedom Drive I and Freedom Drive II four-wheel drive systems, 2.4-liter I-4 World Gas Engine producing 172 horsepower (129 kW) and 165 lb.-ft. (224 N•m) of torque, 6F24 six-speed automatic transmission, power sunroof, Uconnect handsfree Bluetooth compatible phone with iPod connectivity, premium nine-speaker audio system with liftgate speakers and navigation with SiriusXM Travel Link. The 2014 Jeep Patriot is available in the following exterior colors: Billet Silver Metallic Clear Coat, Black Clear Coat, Bright Silver Metallic Clear Coat, Bright White Clear Coat, Deep Cherry Red Crystal Pearl Coat, Granite Crystal Metallic Clear Coat, Maximum Steel Metallic Clear Coat, Mineral Gray Metallic Clear Coat, Rugged Brown Pearl Coat, True Blue Pearl Coat and Winter Chill Pearl Coat. Built in the United States at the Belvidere Assembly Plant in Belvidere, Ill., 2014 Jeep Patriot models will begin arriving in dealer showrooms in the second quarter 2013. - 2014 Jeep Compass delivers value for consumers: legendary Jeep capability and design, fuel economy of up to 30 mpg and loads of standard features With unmatched Jeep® capability in all weather conditions, fuel economy of up to 30 miles per gallon (mpg), and a refined design, the new 2014 Jeep Compass continues to set the standard in the compact-SUV segment. The 2014 Jeep Compass delivers a new six-speed PowerTech automatic transmission, refreshed exterior and interior design, unsurpassed 4x4 off-road capability in the compact-SUV segment, fuel economy of up to 30 mpg highway, and is a remarkable value for customers. 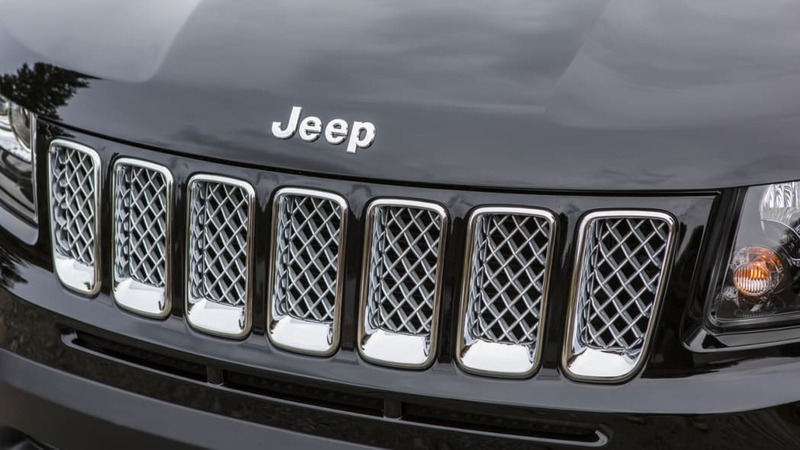 "Jeep Compass provides consumers with a combination of fuel economy, safety, value – and, of course, Jeep capability – in the important compact-SUV segment," said Mike Manley, President and CEO - Jeep Brand, Chrysler Group LLC. "For 2014, Jeep Compass buyers will enjoy their driving experience even more, courtesy of an all-new six-speed transmission and a refined interior and exterior design." Delivering the packaging and interior flexibility of an SUV with the performance, handling, fuel economy and price of a compact car, the 2014 Jeep Compass also boasts more than 30 safety and security features, including standard front-seat-mounted side air bags, side-curtain air bags for all rows, electronic stability program (ESC), electronic roll mitigation, Hill-start Assist (with manual transmission), four-wheel anti-lock brakes, LATCH child seat anchors and available ParkView rear backup camera. The Jeep Compass offers an array of clever features consumers will appreciate whether commuting to work, driving in challenging weather conditions, or exploring new trails or out-of-the-way places. Uconnect media center with iPod interface, SiriusXM Radio, navigation with SiriusXM Travel Link, power sunroof, a premium audio system with nine Boston Acoustic speakers, illuminated cup holders, liftgate speakers and fold-flat rear seats are some of the available features that make the Compass the perfect compact SUV, enabling consumers to enjoy any adventure. 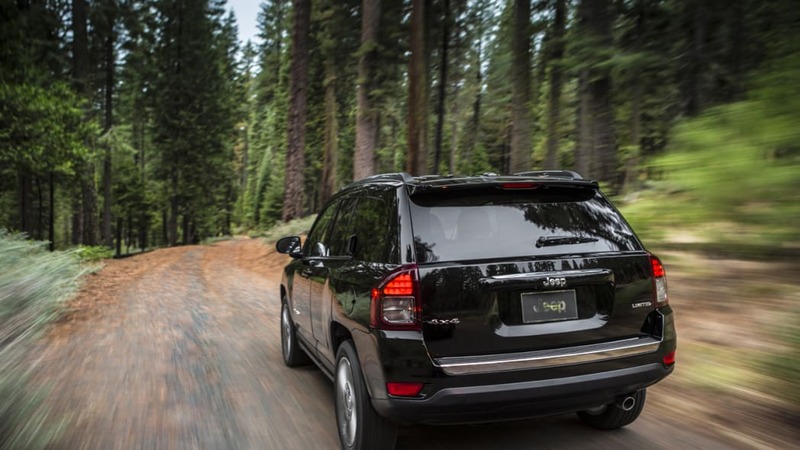 The 2014 Jeep Compass is packed with standard features that provide value and convenience for drivers and passengers. Standard features include air conditioning, power windows, power locks, power/heated exterior mirrors, keyless entry, fog lamps, cruise control, illuminated cup holders, a removable/rechargeable light, outside temperature display, electronic stability control, front driver and passenger active head restraints, electronic roll mitigation, Hill-start Assist, front-seat-mounted side air bags, anti-lock disc brakes, 60/40 fold-flat rear seat and sunscreen glass. 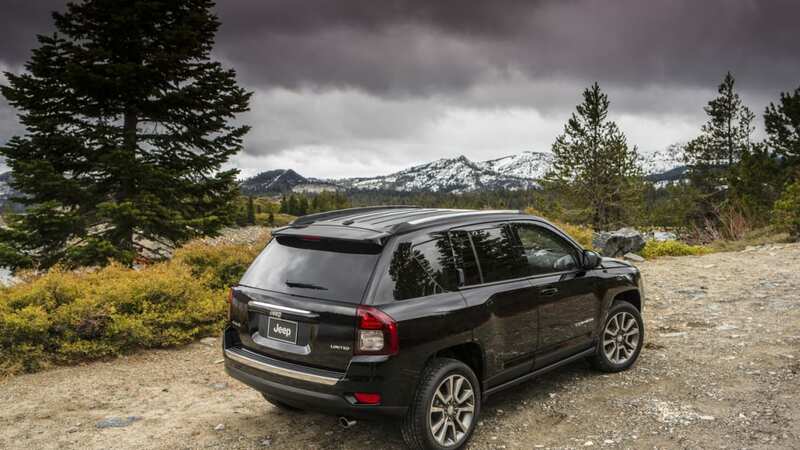 For 2014, the Jeep Compass continues to offer an All-weather Capability Group option which includes Goodyear 17-inch all-terrain tires, all-season floor mats, daytime running headlamps, engine block heater and tow hooks, making the Compass the most capable compact SUV off-road and in all weather conditions. 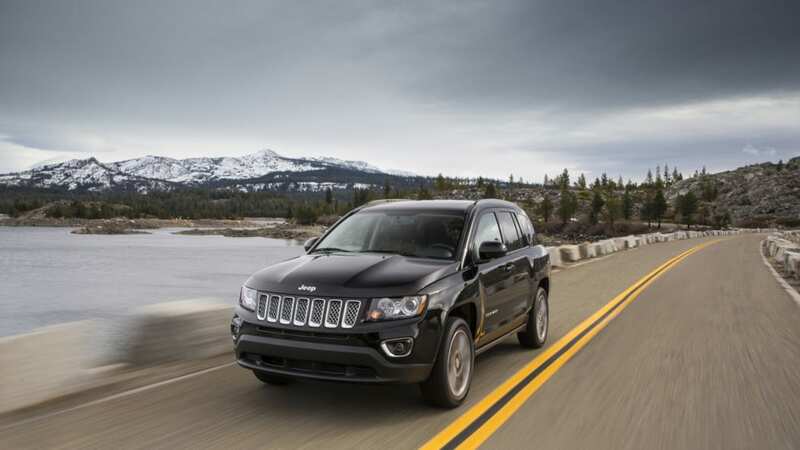 Available for the first time in most 2014 Jeep Compass models is the world-class 6F24 six-speed automatic transmission. Independently developed by PowerTech and refined for application to the 2014 Jeep Compass, the six-speed automatic is fully electronic, and designed for fuel efficiency and improved performance. The six-speed automatic features a closely aligned 5.46 gear spread that provides nearly imperceptible shifting from launch through highway speeds. With a 4.21 first gear and standard Auto Stick for manual like shifting, acceleration characteristics deliver fun-to-drive excitement. With a 0.77 sixth gear, engine rpm is significantly reduced at highway speeds for optimal fuel efficiency. The stepped shift schedule across all six gears is designed for optimal fuel economy in city driving as well. Customers will notice extremely quiet operation throughout the gear ranges with the use of noiseresistant gears that effectively reduce noise, vibration and harshness (NVH). The new six-speed transmission also helps reduce maintenance costs and the cost of ownership with its fill-for-life design. There is no transmission dipstick and transmission filter or fluid changes are not required under normal driving conditions. Low-viscosity fluid is used to improve fuel economy by enabling quicker operating temperatures on the transmission to reduce drag on internal components. 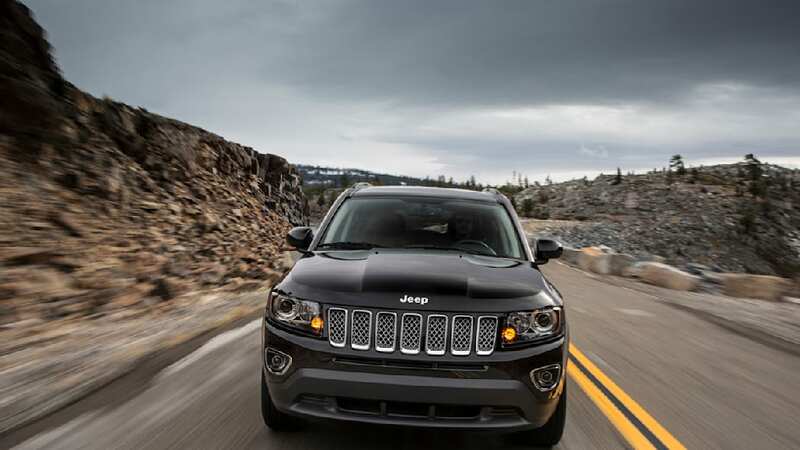 The exterior of the 2014 Jeep Compass has been refined with specific updates that move the design forward. At the front of the Compass Latitude and Limited models the grille has been enhanced with a plated upper grille trim and mold-in-color Billet Silver grille texture. 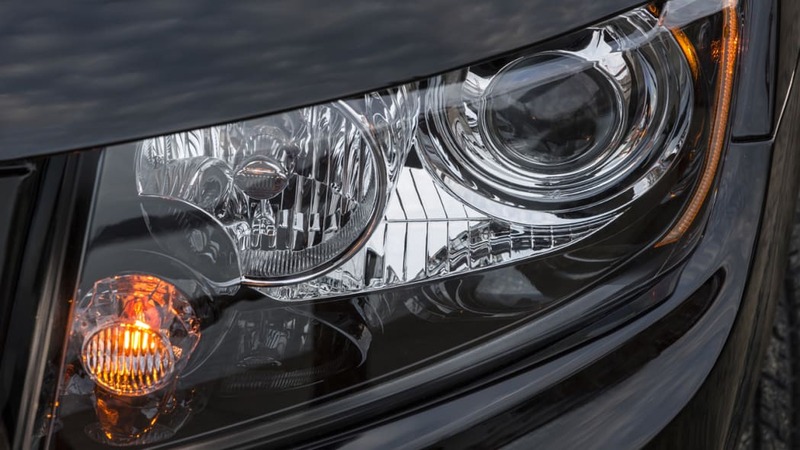 The halogen headlamps now have a black inner bezel on the Sport and Latitude models, and the Limited models sport projector halogen headlamps with a black inner bezel and chrome fog lamp bezels. The Compass also features painted mirror caps, taillamps with a new "smoked" inner bezel, a plated chrome insert on the tailgate trim applique, new available 18-inch aluminum wheels on Limited models, and a new plated chrome insert with recessed "Jeep" badge on the tailgate trim applique for models equipped with the available rear backup camera. 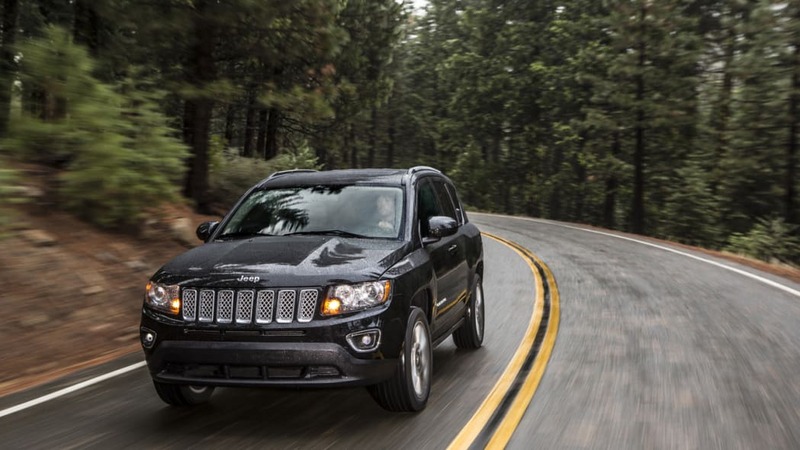 For 2014, the Jeep Compass interior has been tastefully upgraded with accents and trim that customers will appreciate. Upgraded features include a new interior trim option in the Compass Limited model: Saddle Brown perforated leather seating with accent stitching. The Latitude model includes a new sport mesh and vinyl seat with light gray accent stitching, and the Light Pebble Beige trim features a new Tangerine accent stitch on the seats. In addition, the armrests and center console lid are now wrapped in vinyl and the instrument cluster overlay graphics have been updated. New satin chrome finish adorns the center bezel, shifter bezel and pull cups and a new bin applique with badge round out the interior design upgrades. 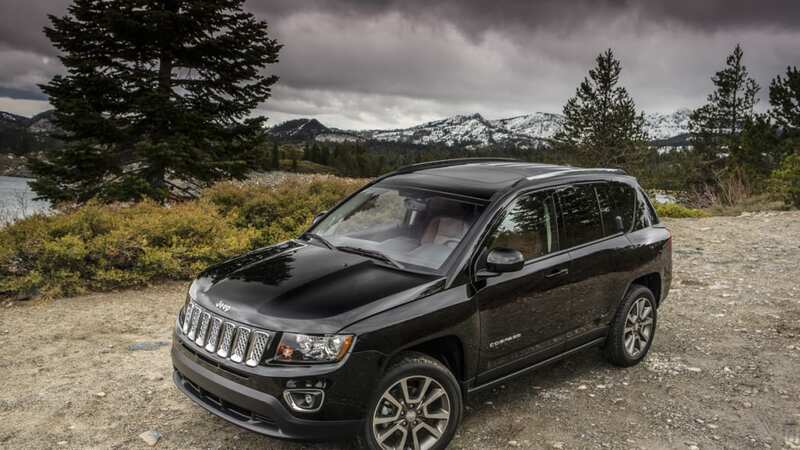 The 2014 Jeep Compass offers customers unsurpassed Jeep 4x4 off-road capability with Jeep Freedom Drive II. Jeep Compass is available in three drivetrain configurations. In addition to the standard front-wheel drive system, Jeep Compass also is available with Freedom Drive I and the Freedom Drive II Off-road Package. Jeep Freedom Drive I 4x4 is an available full-time, active four-wheel-drive system with lock mode designed to give drivers year-round assurance with the ability to handle rough weather and low-traction conditions. This active four-wheel-drive system is recommended for daily use, including slick conditions that come with rain and light snow. Freedom Drive I also features a lockable center coupling, giving drivers the ability to put the Jeep Compass in four-wheel-drive lock mode to handle deep snow, sand and other low-traction surfaces. 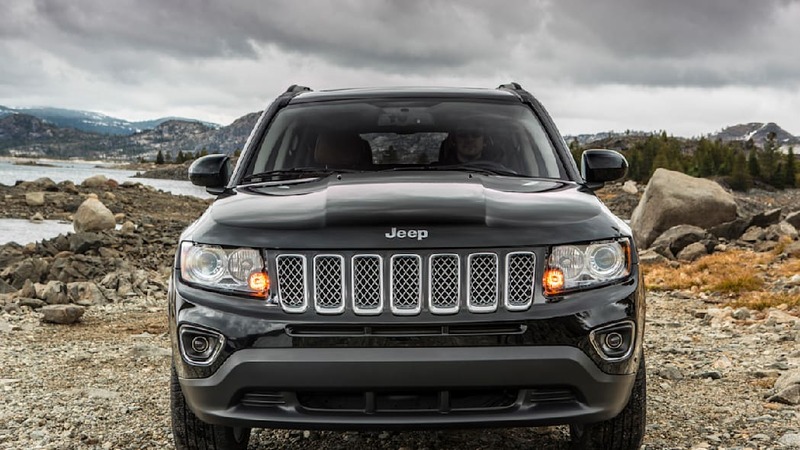 The Jeep Freedom Drive II 4x4 Off-road Package is an available four-wheel-drive system that delivers Jeep Trail Rated capability in Compass form. The Freedom Drive II Off-road Package includes a second-generation continuously variable transaxle with low range (CVT2L) that engages when the offroad mode is activated, 17-inch all-terrain tires and aluminum wheels, a one-inch raised ride height, a full-size spare tire, skid plates, tow hooks, fog lamps and manual seat height adjuster. The available Freedom Drive II Off-road Package is recommended for off-road situations that include steep grades, occasional wheel lift and rock or log climbing. 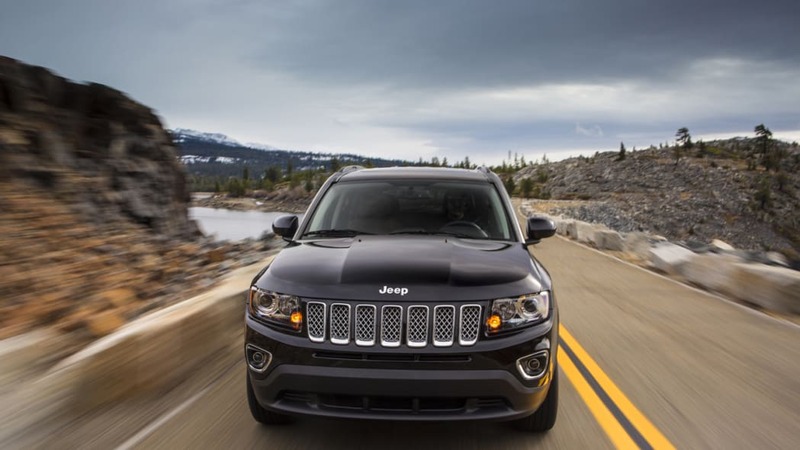 The 2014 Jeep Compass' powertrain options are designed to deliver world-class performance in all weather conditions, fuel economy and refinement, all at an affordable, value-packed price. The proven 2.4-liter I-4 World Engine produces 172 horsepower (129 kW) and 165 lb.-ft. (224 N•m) and is available on all models and standard on the Limited. This 2.4-liter World Engine has dual variablevalve timing (VVT) on both intake and exhaust camshafts, which helps optimize the torque curve at all speeds and produces more power, better fuel economy and smoother, quieter operation than engines without dual VVT. Dual VVT is a technology typically not available on vehicles sold in the United States in the Jeep Compass' price class. The Jeep Compass' 2.4-liter four-cylinder engine paired with a fivespeed manual transaxle in front-wheel drive configuration delivers 23 mpg in the city and 28 mpg on the highway. Jeep Compass also features a standard five-speed manual transaxle on the Compass Sport model, a new six-speed automatic transmission that is available on the Compass Sport model and standard on the Latitude and Limited models and the continuously-variable transmission II (CVT2L) transmission on vehicles with Freedom Drive II. The Compass' CVT2L is a second-generation CVT that Chrysler Group engineers calibrated for a pleasing engine response and precise ratio control. 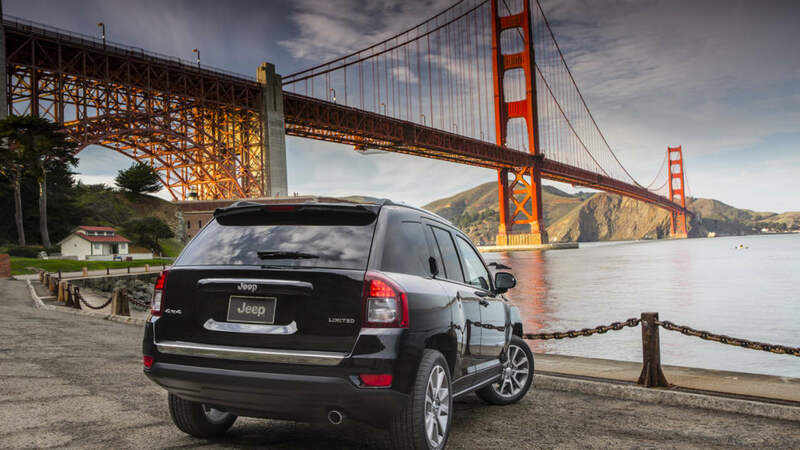 The 2014 Jeep Compass also provides up to 2,000 pounds of towing capacity. 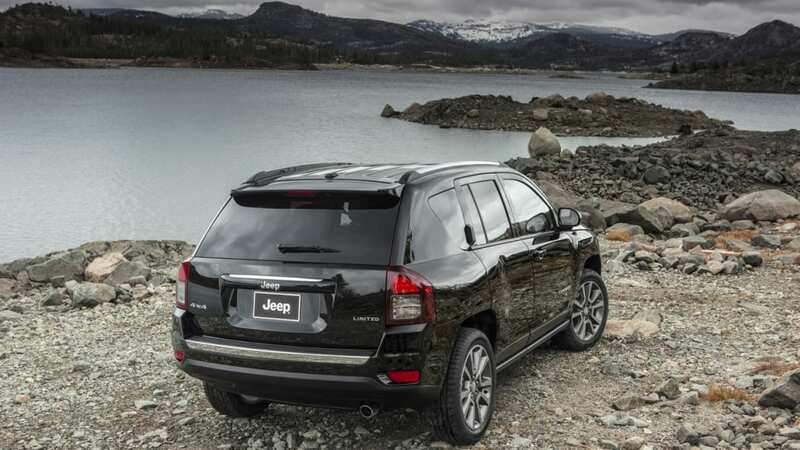 The 2014 Jeep Compass is available in three configurations: Sport, Latitude and Limited. All are available with front-wheel drive, the Freedom Drive I full-time active 4x4 system, or the Freedom Drive II Off-road full-time active 4x4 system with low-range capability. 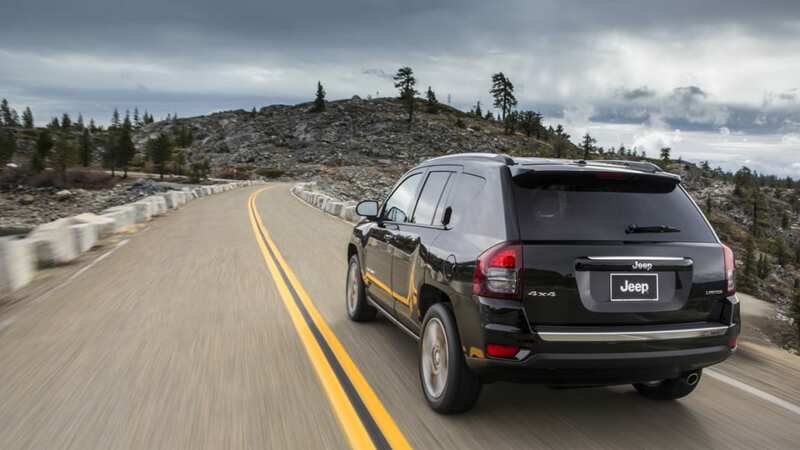 The 2014 Jeep Compass Sport model is powered by the 2.0-liter I-4 World Gas Engine which produces 158 horsepower and 141 lb.-ft. of torque, mated to a five-speed manual transmission. Standard features include: new acoustic laminated front windshield glass, front-wheel drive, front-seat-mounted side air bags, advanced multistage front driver and passenger air bags, all-row side curtain air bags, front driver and passenger active head restraints, electronic stability control, electronic roll mitigation, brake assist, Hill-start Assist, anti-lock front disc and rear drum brakes, air conditioning, power windows, power door locks, power-heated fold-away exterior mirrors, body-color exterior door handles and liftgate brow, illuminated keyless entry, Sentry Key engine immobilizer theft-deterrent system, illuminated cup holders, removable/rechargeable flashlight, floor mats, outside temperature display, tilt steering column, speed control, rear 60/40 split folding seat, fold-flat rear seat, cruise control, projector fog lamps, deep tint glass, rear window wiper/washer, 16-inch steel wheels and bright roof side rails. In addition to the features that are standard on the Sport model, the 2014 Jeep Compass Latitude standard features include: 6F24 PowerTech six-speed automatic transmission, heated cloth front seats, driver seat height adjuster, fold-flat front passenger seat, 60/40 rear seat recline, 115-volt power inverter and leather-wrapped steering wheel with audio and speed controls. The 2014 Compass Limited model offers the standard features of the Compass Latitude model as well as: 2.4-liter I-4 dual overhead cam engine that produces 172 horsepower and 164 lb.-ft. of torque mated to the new 6F24 six-speed automatic transmission, four-wheel anti-lock disc brakes, leather trimmed front and rear seats, power six-way driver seat with manual lumbar adjust, leather-wrapped parking brake handle, Electronic Vehicle Information Center (EVIC), AM/FM/six-disc CD/DVD/MP3/HDD radio, SiriusXM Radio, auto-dimming rearview mirror, bi-function projector halogen headlamps, 18-inch aluminum wheels with Firestone tires, automatic temperature control, universal garage door opener, bright exhaust tip and bright accent on rear fascia. The 2014 Jeep Compass is available in the following exterior colors: Billet Silver Metallic Clear Coat, Black Clear Coat, Bright Silver Metallic Clear Coat, Bright White Clear Coat, Deep Cherry Red Crystal Pearl Coat, Granite Crystal Metallic Clear Coat, Maximum Steel Metallic Clear Coat, Mineral Gray Metallic Clear Coat, Rugged Brown Pearl Coat, True Blue Pearl Coat and Winter Chill Pearl Coat. Available options include Freedom Drive I and Freedom Drive II four-wheel drive systems, 2.4-liter I-4 World Gas Engine producing 172 horsepower (129 kW) and 165 lb.-ft. (224 N•m) of torque, ParkView rear backup camera, 6F24 six-speed automatic transmission, power sunroof, Security and Cargo Convenience Group, Sun and Sound Group, Uconnect Voice Command with Bluetooth and iPod connectivity, Uconnect 230 or Unconnect 430 CDDVD/MP3 HDD radio, Premium Sound Group with nine-speaker audio system with liftgate speakers, navigation with SiriusXM Travel Link and the Trailer tow Prep Group. Built in America at the Belvidere Assembly Plant in Belvidere, Ill., the 2014 Jeep Compass models will begin arriving in dealer showrooms in the second quarter of 2013.